You can depend on Affordable Comfort to supply all your cooling needs. We offer complete cooling and air conditioning products, services, repairs, and installation as well as indoor air quality solutions specifically tailored for your residential or commercial property. When it comes to air conditioning, you need something that works and a company you can rely on. 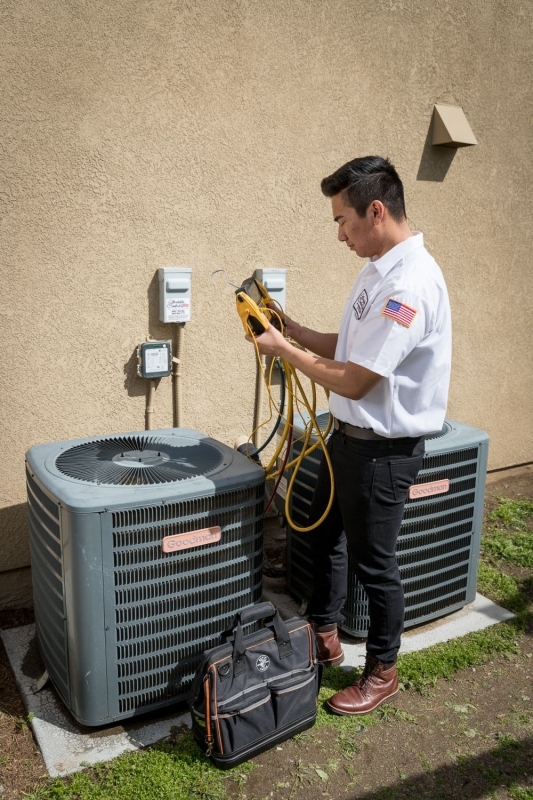 Affordable Comfort is a licensed HVAC company with a team of highly skilled and trained specialists to make your air conditioning function at its best. Our technicians are always punctual, dependable and meticulously clean. There are many reasons to trust Affordable Comfort to service your property: All of our work is guaranteed; and above all, we promise to do an exceptional job keeping your home comfortable year-round. Need a job done fast? No problem! Our expert technicians quickly diagnose and make repairs. All our vans are fully stocked and most AC repairs and services can be completed the same day. There is no question: You’ll get expert service for a great price when you choose Affordable Comfort. Get the best in air conditioning for your home or business — work with Affordable Comfort! Servicing the Fontana, Rancho Cucamonga, Ontario, and Inland Empire area, we would be honored to work with you.